MSV: Grist for the Mill: Look who's invited to Ravi's Friday night dinner! Grist for the Mill: Look who's invited to Ravi's Friday night dinner! Among 55,0000 Hoboken residents, not many can say they were invited to have dinner with Hoboken Mayor Ravi Bhalla. That honor with the mayor Friday night went to one person who appeared out of nowhere to launch attacks on council members last summer. At his last appearance before the City Council, this mayoral dinner honoree concluded by saying to Councilwoman Tiffanie Fisher, "no one sent me." It was by most close observer accounts, a most odd introduction to the City Council and public at-large. The appearance, courtesy of uptown resident Mike Donnelly featured direct attacks on a number of council members firing off political talking points sounding exactly like those made out of the mayor's office, in public - and more oddly - in private. Among those on the receiving end of Donnelly's written and prepared remarks: Council President Ruben Ramos, Councilmembers Jen Giattino, Tiffanie Fisher and Mike DeFusco. The Friday night dinner at the uptown steakhouse Dino & Harry's, witnesses saw special Ravi Bhalla dinner in a corner of the restaurant with the mayor, John Allen and Mike Donnelly. In another part of the restaurant sat Councilman Peter Cunningham who was most definitely not invited. Bhalla and Cunningham would chat briefly before the former left but it's John Allen's best bro who generated the most interest. What was behind his invitation to have a Friday night dinner with the Hoboken mayor? Some have speculated Donnelly, an uptown resident may have developed a political infection from his friend working in the mayor's office. Both lack any institutional memory (or involvement) in Hoboken's battle against corruption and the good government movement known as Reform. Allen failed to land a council seat when he was installed on Bhalla's at-large council slate last year. That defeat quickly found him placed inside the mayor's office as chief of staff. 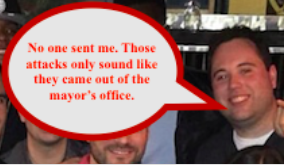 The infection may have taken and some think the talking points attacking varied council members as part of an interest in standup comedy combined with Donnelly's ignorance on the Hoboken political scene. The passing interest may not last as Mike Allen is working to further Ravi Bhalla ties to Old Guard forces. Next year Hoboken's City Council ward races will square off and the combined forces of Ravibots will do the unthinkable and further unite with the Russo Clan in an effort to take out the good government trio of councilmembers Peter Cunningham, Jen Giattino and Tiffanie Fisher should they seek reelection. All three have stood independent and set the tone for the City Council where most of the Bhalla Administration agenda is easily passed but questions are asked and policy routinely analyzed. As the mayor's Chief of Staff, John Allen has been keen to embrace the political component of the job and many see him inside City Hall as the day to day mayor with Ravi Bhalla focused on how to forge a path to another political gig in Washington DC. 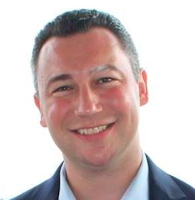 Allen has been having steamy conversations with the second ward failed council candidate Peter Biancamano who most recently lost a seat on the Hoboken Board of Education. It's not the BoE seat Biancamano wants back but the second ward City Council seat. He lost in a three-way race to Tiffanie Fisher in 2015 and he's not gotten over it. He's been telling people he can beat her next time in 2019. The romantic conversations between John Allen and Peter Biancamano have passed the initial dating stage. Allen is thought to be sweetening the pot and Biancamano's heartstrings with the idea of being bestowed a place on the mayor's council ticket. They are locked in a passionate political embrace with each believing they are on the "same team" with one goal. "We have to work together to get rid of Tiffanie," is their refrain. Reform elements who were part of the good government movement for decades are shuddering at the prospect. Those on the BoE will be especially appalled. 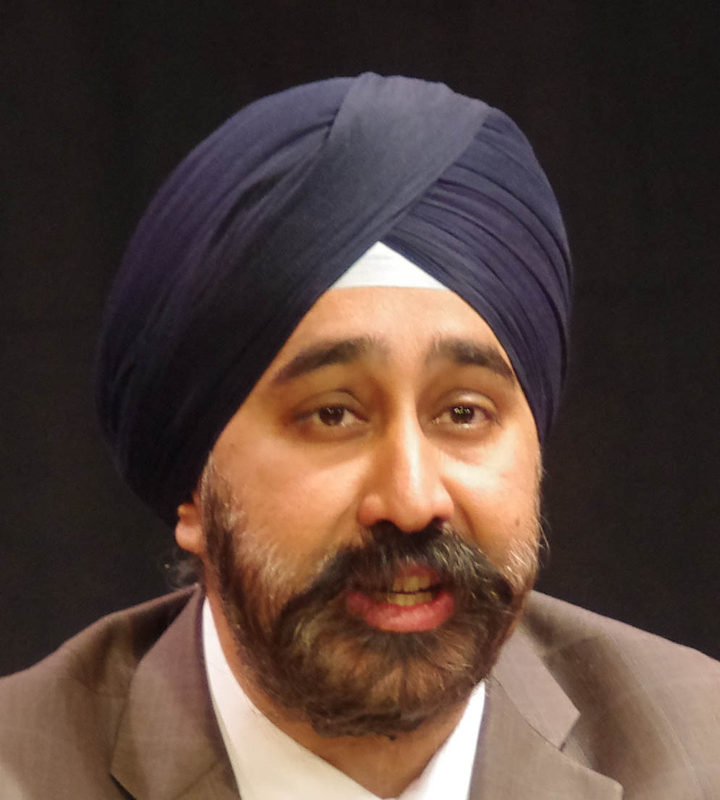 But one longtime observer of the now defunct Reform Movement said of Ravi Bhalla he was not surprised. "He'll torch Hoboken if that's what it takes to move up the political ladder and get what he wants, a seat in Congress." People suspect the ugly politics will be back with a Ravi-Russo Clan alliance bringing bad Hoboken memories back to the present in 2019. Grist for the Mill is MSV's rumor column. Got a tasty carrot for Horsey? Send it to smartyjones@me.com. All email is kept confidential and is protected by MSV's proven Reporter Privilege upheld under the NJ Shield Law in Hudson County Superior Court. In farm animals we trust.